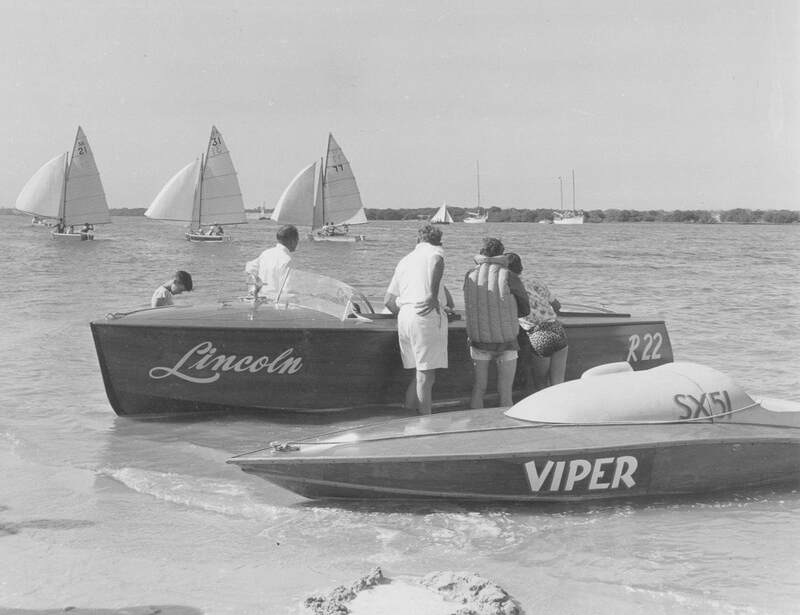 During the 1950's and 1960's Speedboat racing events were held on Sunday,s at Snowdens Bench near Port Adelaide. 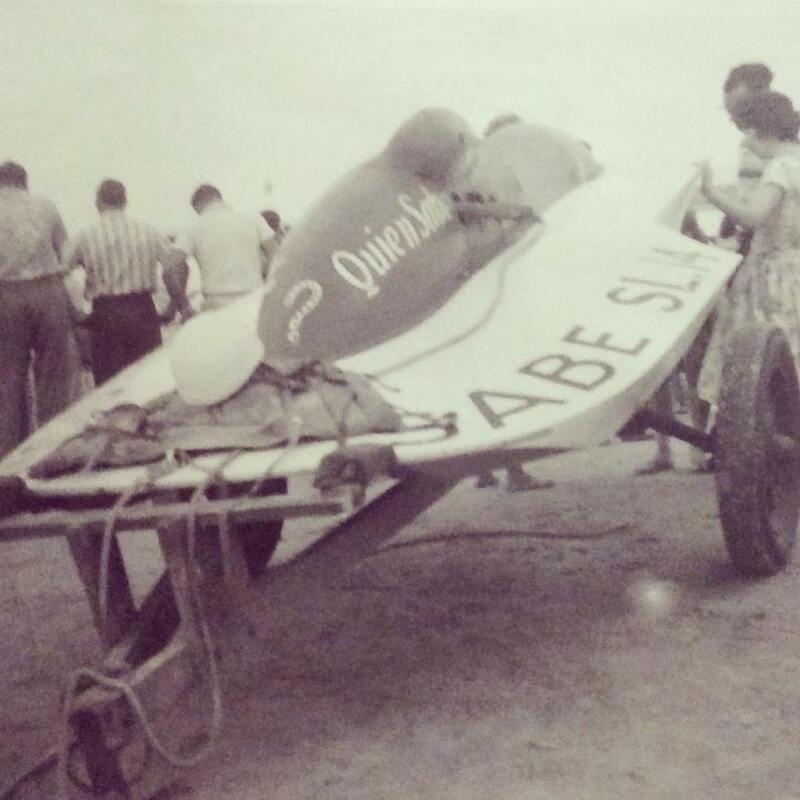 1950's - A Hydroplane speedboat getting ready to compete at Snowdens Beach. Photo: Dean Donovan. 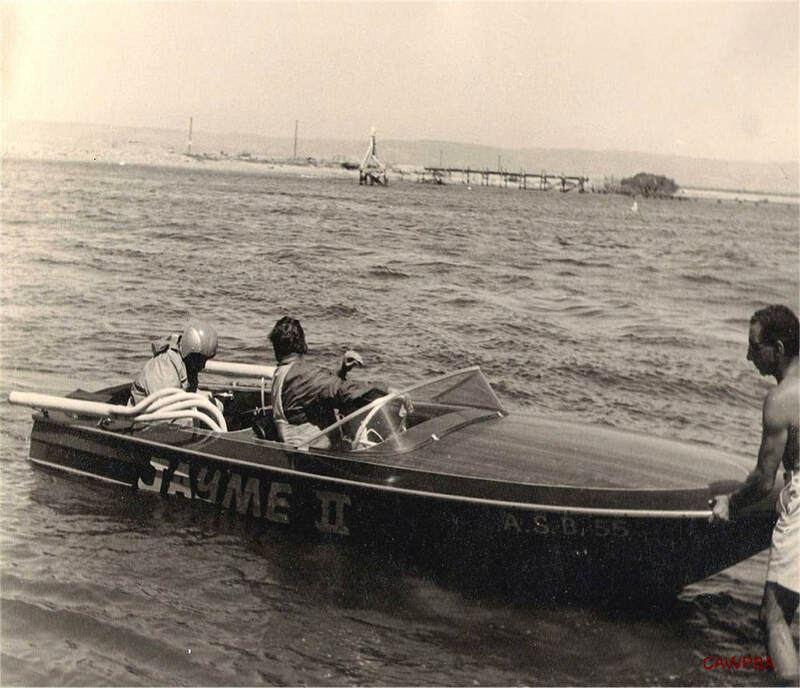 1956 - Speedboat racing events in conjunction with a sailing regatta were held as part of the Centenial cellebrations at Port Adelaide. Photo: unknown. 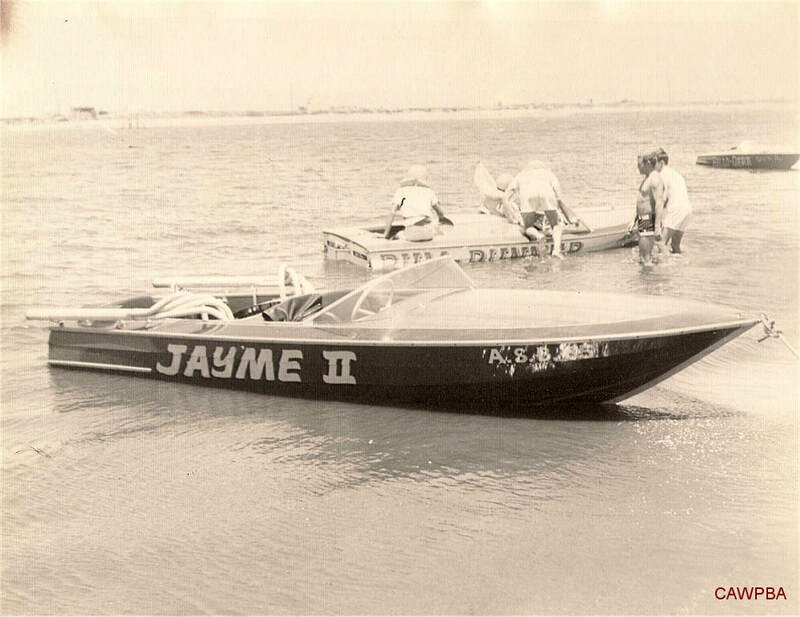 1968 1969 - Mike Lane sits in the back of Jayme 11 making some adjustments prior to a run. Photo: Mike Lane. 1968 1969 - Jayme 11 the calm before the storm. Photo: Mike Lane.